In this lesson we'll explore the different dynamic levels you can obtain from strumming harder and softer. This may be more challenging than you think, because you have to do it without changing your basic technique and your rhythmic feel. Just to keep it all simple, let's stick with our G-chord for now. 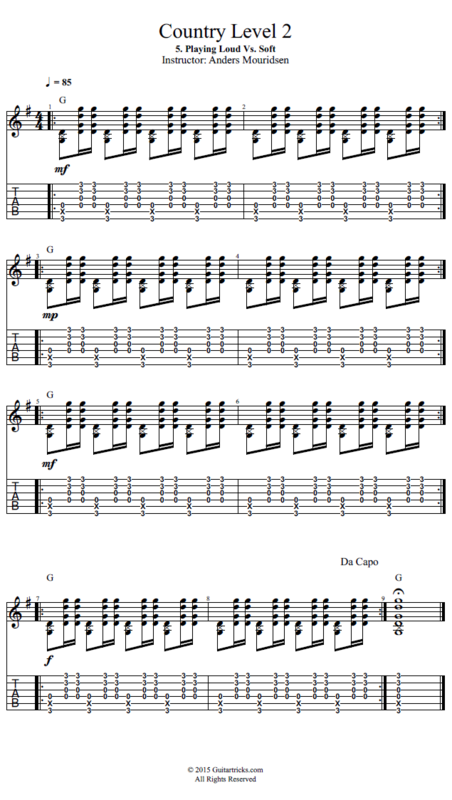 Try and strum a couple of bars, and notice that what dynamic intensity you're using. Are you strumming full force as loud as you can? Are you strumming super softly? Most likely somewhere in between. But it's important to be able to use the full dynamic range in your rhythm guitar playing, so you can play soft for the verse and louder for the chorus.